Some United States government personnel on official duty in Havana, Cuba have reported feeling a variety of "physical symptoms" following "incidents," according to a State Department spokesperson. There are concerns about the safety of these diplomats, and the FBI is currently investigating the matter, CBS Radio News reports. 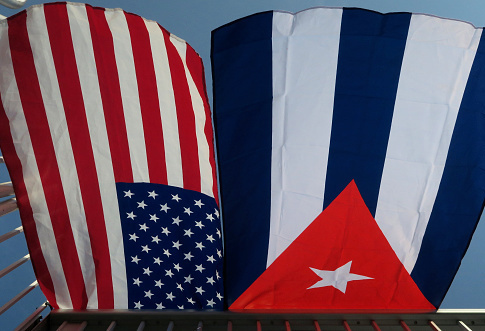 The U.S. responded by asking two Cuban officials in the U.S. to leave the country on May 23. The State Department has so far not specified what these "incidents" were and what "symptoms" the diplomats were experiencing. The State Department spokesperson said the United States has reminded the Cuban government of its obligation to protect diplomats under the Vienna Convention, CBS correspondent Steve Dorsey reported. "Some U.S. government personnel in Havana on official duty have reported incidents which have caused a variety of physical symptoms," a State Department spokesman said. "We do not have definitive answers on the source or cause of the incidents." "The Department has reminded the Cuban government of its obligations under the Vienna Convention to protect our diplomats," the spokesman said. "The Department is taking these incidents very seriously and is working to determine the cause and impact of the incidents. The Cuban government has assured us that it is also investigating and taking appropriate measures." Update 3:32 p.m.: This post has been updated to reflect comment from the State Department. This entry was posted in National Security and tagged Cuba, State Department. Bookmark the permalink. Katelyn Caralle is a media analyst at the Washington Free Beacon. Before joining Free Beacon, Katelyn worked as a Digital Strategy Intern at The Heritage Foundation. She graduated from Bloomsburg University of Pennsylvania in 2016 where she served as Editor-in-Chief of The Voice.